MURRAY -- A 60 year old Brockport man was charged with DWI on July 15, 2018 following a routine traffic stop. 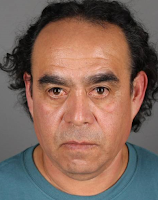 According to New York State Troopers, officers stopped Aristide Salguero on State Route 104 in the town of Murray for crossing hazard markings multiple times and for driving well under the posted speed limit, impeding traffic. While speaking to Salguero, the operator, Troopers detected the odor of an alcoholic beverage. Salguero was placed under arrest after failing multiple SFSTs and transported to SP Albion where he refused to provide a breath sample. Salguero was arraigned in the town of Murray Court and remanded to Orleans County Jail in lieu of $1,000 cash bail. Salguero is to appear in July 2018.